Thanks to funding from BBC Children in Need, we’ve launched FREE play and activity sessions for 0-4 year olds. 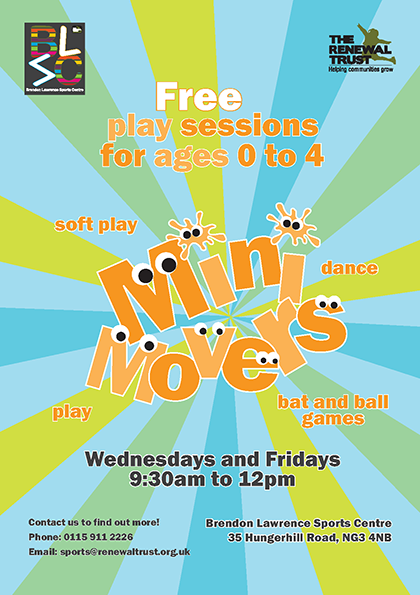 Mini Movers sessions are a great way to get your little ones moving and discovering new activities through play, so why not drop-in, have fun, meet new people and enjoy a cuppa. Activities for babies include soft play, lap games and songs with hand and body motions, while sessions for older children aged 18 months to 4 years include activities like bat and ball games, dance, gymnastics and imaginary play.